Many people have initially learned about wearables through fitness bands such as Fitbit, a wristband that tracks various health markers like activity, exercise, sleep and weight. For entrepreneurs who employ a small team, it really helps to make sure everyone is as healthy as possible. Coordinated usage of the type of wearables that encourage wellness and prevent illness can help keep the team functioning at top capacity. In addition to wellness, which is certainly a key component of productivity, wearables like smartwatches can help to optimize job performance by providing access to emails, texts, and schedules. Visually recognizable formats help cut down on distraction, as employees can tell at a glance what types of communications are coming in. Mobile apps can allow instant updates between team members and facilitate better time management by regulating scheduling and to-do lists. This type of functionality helps support the development of a team that works like a well-oiled machine. 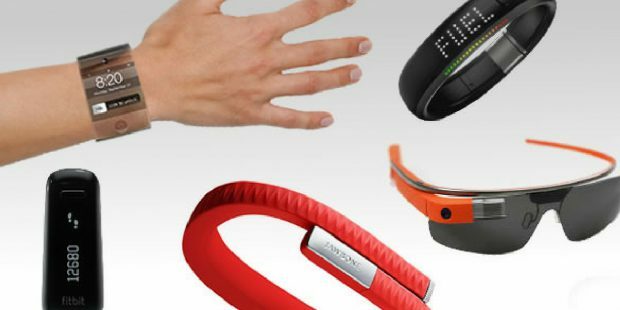 5 ways #wearable #technology like @fitbit & #applewatch can help your #smallbusiness. Some employers use wearables to protect the safety of their workers. For example, a device like Kinetic uses sensors and algorithms to provide guidance about lifting packages and other heavy objects, to help prevent on-the-job injuries. The Wearsafe tag with its Bluetooth-paired app sends an alert to a group of trusted allies during an emergency. Wearables like these offer an opportunity to safeguard the wellbeing of small business teams by helping prevent accidents, injuries, and other critical situations. Protecting the data held within smartwatches is of the utmost concern to all small business owners who use them, so their manufacturers have made security a priority. For example, Samsung has built its KnoxTM security platform into all of its Galaxy devices. Likewise, Apple’s Activation Lock prevents thieves from pairing a stolen Apple Watch with another, unapproved device. Smart devices can also be used as instruments to support general business security. Smart glasses and digital lanyards can monitor access to secured areas and information. Then there’s the Cyware cyber situational awareness platform, which offers users a comprehensive selection of daily cyber security news updates on the latest viruses, security breaches and other threats, curated from across the globe. Alerts can be distributed via email newsletter, social media channels, or customizable widget, all of which can be accessed in a coordinated fashion by individuals and teams via their smartwatches. Built-in GPS and other types of data monitoring functionality allow employers to enable enterprise-wide management, mobile deployments, and task assignments across teams of different sizes and in different locations. With new apps being created all the time, the possibilities are nearly endless. For the small business owner thinking about outfitting an entire team with smartwatches, the choices are plentiful. From the Samsung Gear S3 and the Apple Watch Series 2 to the Android Wear compatible Huawei Watch, 2016 closes out with an abundance of cutting edge smartwatches from which to choose. Wearables may represent the kind of mobile technology that is best suited to the changing landscape of today’s virtual agencies, shared workspaces, and other non-traditional work environments. Think about the kind of investment that is best suited to the needs of your small business. And while you’re at it, have a look at a few more of these amazing smartwatches.